Thurs. #2 is HERE. To help the website out please subscribe to Mistah MegaManFan so we can reach 1,000 (current count: 825). If you're a gamer you'll enjoy the content. Don't miss Thursday Night AMP from last night! With the cheap plugs out of the way here's Friday's latest wrestling news. Via Sports Illustrated, Undertaker has been announced for Starrcast II in Las Vegas. This does NOT mean he's coming to AEW though. Sayeth Conrad Thompson: "I know people might assume this is an AEW event, but that is not true. We have wrestlers appearing from every promotion from all over the world, and Starrcast isn't just for All Elite Wrestling fans, it's for all wrestling fans. 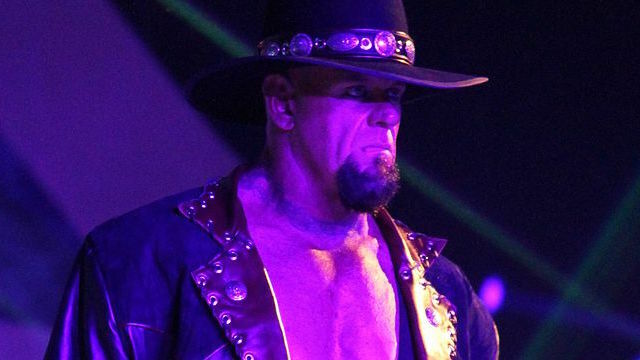 The Undertaker is synonymous with wrestling and generations of wrestling fans have grown up with The Undertaker. We wanted to bring something unique to Las Vegas, and there isn't anyone more special in this business than The Undertaker." They are also bringing Jonathan Coachman to the event. Sadly one of the few matches I'm looking forward to on Sunday night besides Daniel Bryan's match, Buddy Murphy defending the Cruiserweight Title against Akira Tozawa, has been moved to the 2019 Elimination Chamber pre-show. (WWE) On the OTHER hand this means I could watch the pre-show for their match, switch to watch UFC fights on ESPN, and then watch Bryan's match later on replay... so maybe WWE just did me a favor? On Busted Open Radio, Bully Ray says AEW is hip and cool right now: "I don't know if AEW even knows what they have yet. It's just cool. You can tell how cool it is by how quickly All In sold out. You can tell how cool it is by how great of an event All In was. You can tell how cool it is when people show up to a ticket release party. You can tell how cool it is when they sell out 14,000 seats in four minutes. To me, that's cool."